So you’re new to soccer, new to Sporting Kansas City, or new to the Cauldron and you’re looking for some information on how to connect, when to stand (rule #1: always stand, never sit), when to go to the bathroom, how to make friends, easy steps to tail-gating or any other information that will help make your transition from normal fan to Cauldron Member easy and pain-free. This is the section you need to read. Feel free to get out your highlighter; no, wait, I’ll highlight the important stuff, you just sit back and take this all in. By the end of this section, you will be a knowledgable Cauldron Member, ready to chant at our boys in blue and ready to take on every other supporters’ group in MLS. A form of football played between two teams of 11 players, in which the ball may be advanced by kicking or by bouncing it off any part of the body but the arms and hands, except in the case of the goalkeepers, who may use their hands to catch, carry, throw, or stop the ball. That’s the definition. Ok, so now that you know what you’re watching, let’s move onto why you’re reading this section. You want to know the basics about being a member of The Cauldron. First, we will define The Cauldron. 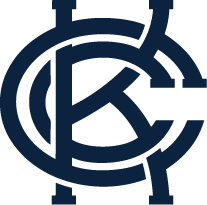 The Cauldron is the main supporter’s group for Sporting KC. Think of the Cauldron as a big umbrella, and all the other supporters’ groups that you have heard of (King City Yardbirds, The Brookside Elite, SouthStand SC, etc) are all under the main umbrella of The Cauldron. The Cauldron is basically a group of people that have a passion for soccer and that encompass the whole game. We tailgate, we make banners, we chant (often & loudly), we party after, we travel to watch our team, and we play pick-up games with our friends, new and old. Now that you know what we are and what you’re about to be, we’ll move onto how to be a member of The Cauldron. The only way to have a great supporters’ group like The Cauldron is to have active members that plug into the world of soccer and into their community. So rule #2 is to be connected. Cauldron members love soccer and food. So there are pick up games on Tuesdays (follow @KCSoccerTuesdays) & Thursdays (follow @lbyrne24), and there are random lunches that if you can get away from your job, you are invited to (Follow @KCCauldron). You can connect with other Cauldron members through these lunches, pick-up soccer games, watch parties, or just hanging out and talking about the game. You can also connect via the internets through Facebook, Twitter (@KCCauldron), Big Soccer messages boards, or Reddit (R/SportingKC). Follow, like, upvote, comment, or do whatever you can to be involved. The best Cauldron activities come from fans just like you. Game day is like the pageant day for Miss America, or maybe like the State-of-the-Union Day for the President. Supporters’ groups were made for game days. This is the Cauldron’s day to come out in full-force, and show the world what we’re made of. The first thing to know about Game Day is tailgating. Every home game, there is a Cauldron tailgate. We meet in Lot F early before the game, we cook out, we drink, we kick the ball around, and we eat. Sometimes the tailgate can have a special occasion or other times it’s just for the hell of it. Yes, usually there is a cost for food and beer, so make sure you pay the man when you take your brat, but other than that, enjoy yourself. Tailgating is an important time to visually see all the people you’ve been connecting with from rule #2. When tailgating, it’s appropriate to begin the trash talk, to start making bets on who will score the first goal, and to spend some time getting to know other people there. The great thing is that if you start off as strangers, by the end of the night, win or lose, you will leave with some new friends. Leave those things in your car. It’s better for everyone if you do. During the game we will chant, we will sing, and when the confetti cannons go off, we will go crazy. Hugs, high fives, yelling, dancing and chest bumping are all encouraged as ways of celebration. Leave most of your clothes on, and please don’t try to get on the field. I’m pretty sure they won’t show the rest of the game at Wyandotte County Jail. After the game is over, win or lose, we will continue the party in the Member’s Club. Drums will beat, music will blare, and we will sing. Then when it’s all said and done, you will drive home (or have someone else drive you home) and you will get ready to do it all again in a week. Remember to follow twitter for pick-up games, lunches, get togethers, and other fun activities to keep you occupied till the next game or watch party. Get your rest, because being a member of The Cauldron is tough. You’ve gotta have stamina, and you’ve gotta have heart. But the friendships, the fun, and the beautiful game make it all worth it.